It was wonderful to have Isabel speak at one of our events at the first Charroux Literary Festival in South West France in August 2015. The hall was packed and people kept arriving, so I was worried we would not fit everyone in, but we did, and Isabel pleased us all with her talk and afterwards her friendly chat to delegates as she signed books in the bookshop. 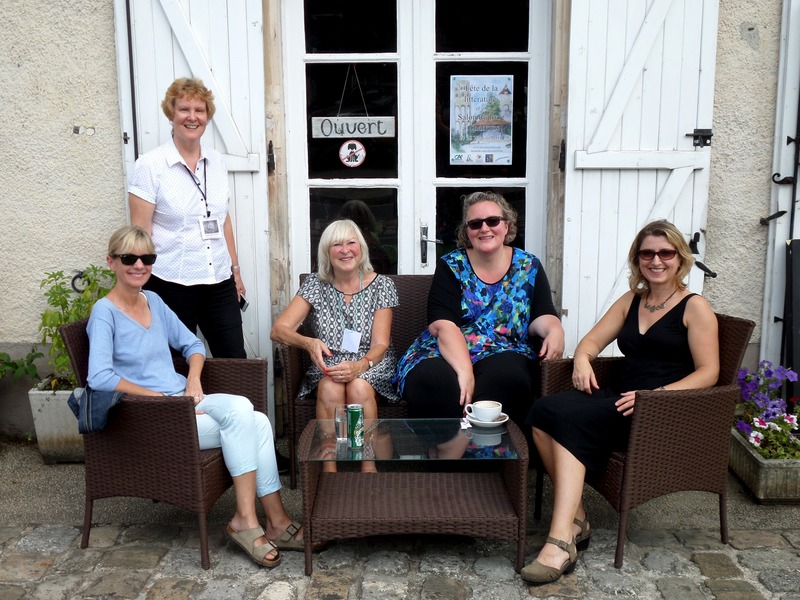 Here she is with Authors Kate Mosse, Alison Morton, Christine Collette and Elizabeth Haynes outside the Green Man Bar.The sun shone all week, and the smiles say it all!